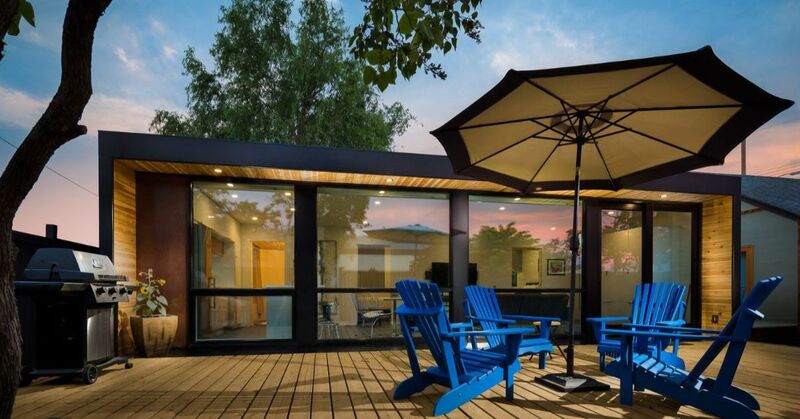 Honomobo views shipping containers as life-size Lego blocks that can combine to create a beautiful modular home that was also built to withstand any temperature or climate. Using these corten steel containers as framework, the company creates and install prefabricated shipping container homes in a matter of weeks. 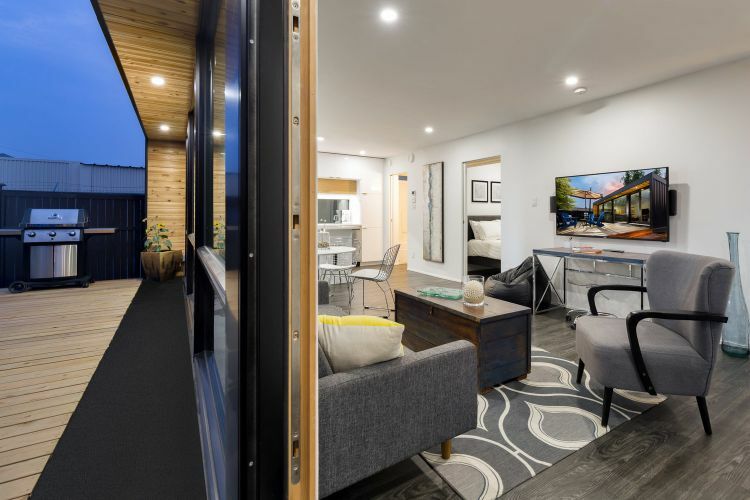 The HO4 container home is arguably Honomobo's most efficient model, featuring a well-equipped home in 704 square feet created from four shipping containers. Plus, all homes are solar photovoltaic ready for homeowners who truly want to live net positive, converting sunlight to electricity and adding energy to the system. 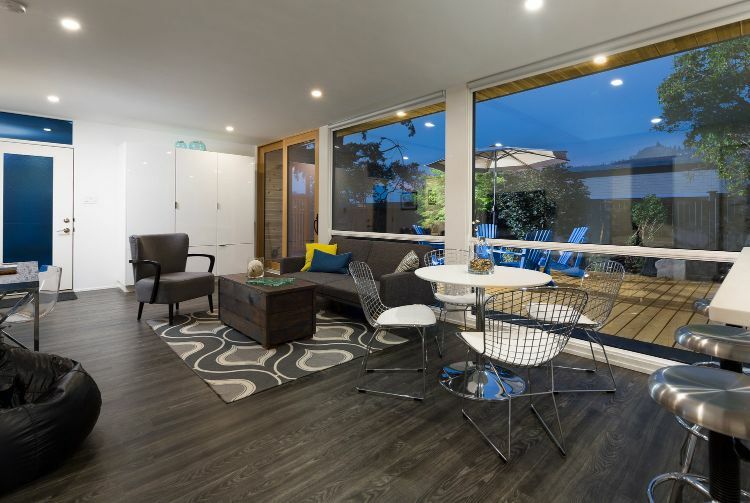 This model home features an expansive deck that seamlessly transitions into the living space within. Walls of windows create fluidity between the indoors and outdoors. The floor plans features an open concept that allows the living room and dining area to be laid out to the owner's preference. 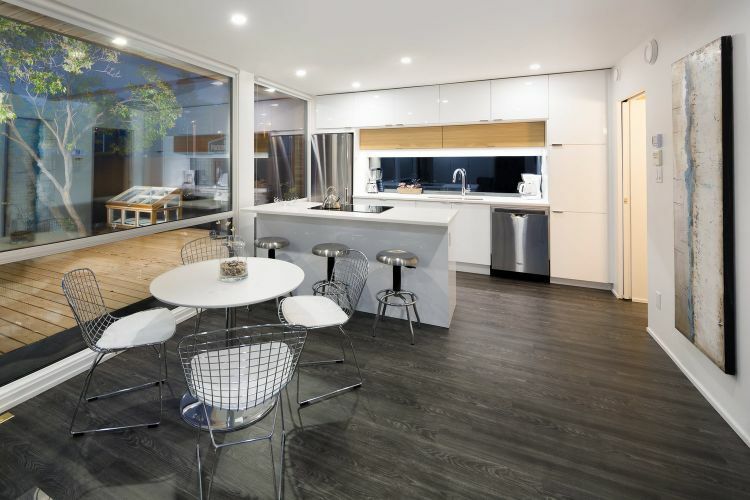 White walls are contrasted with dark ash wood flooring for a modern aesthetic. At the far side of the living room, built-in storage can serve as a coat closet or place to stash children's toys. Looking toward the kitchen, contemporary egg chairs feel at home in this modern design. The kitchen features an expansive island that doubles as a stovetop and roomy breakfast counter. Sleek understated hardware keeps the kitchen bright and modern. 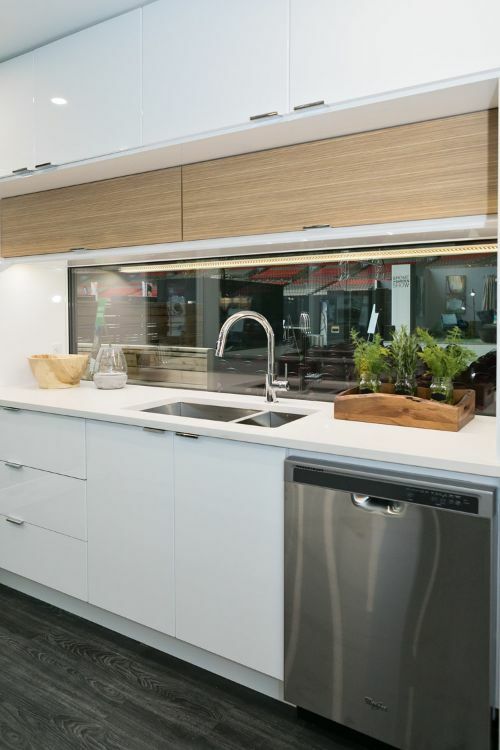 Stainless steel fixtures and appliances complement a white stone countertop. The home can accommodate two bedrooms. Built-in wardrobes offer unobtrusive closet space. 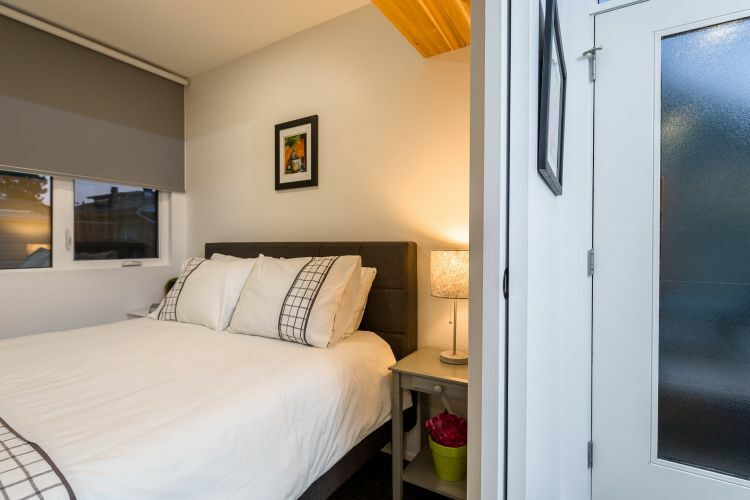 The second bedroom also features built-ins and several windows. 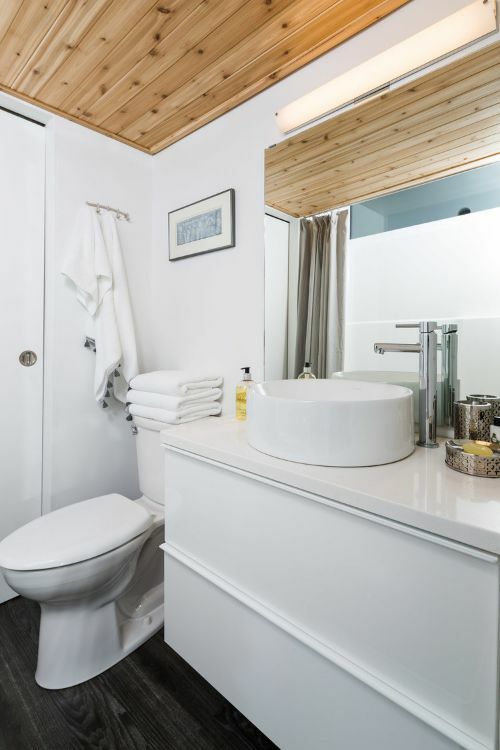 The bathroom is just as modern as the rest of the home, featuring a contemporary vessel sink and faucet atop a vanity with hardware-free drawers. The wood ceiling lends a touch of warmth to this modern space.